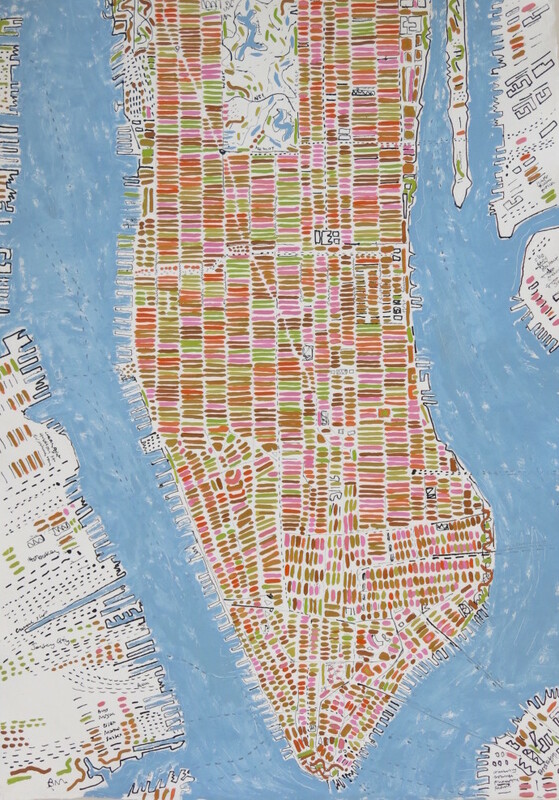 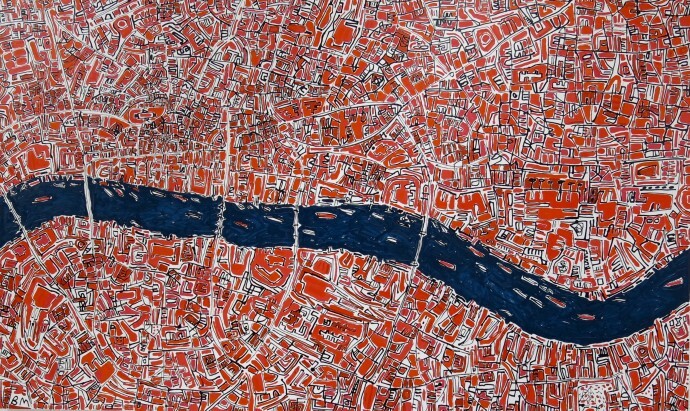 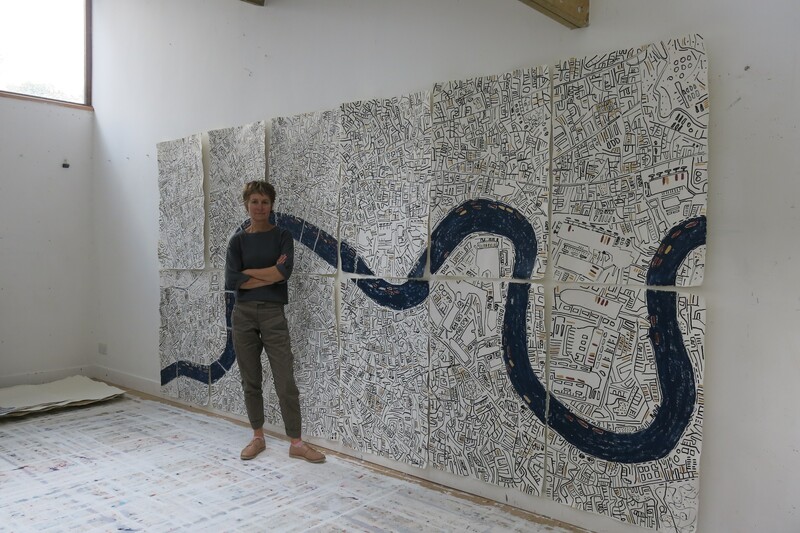 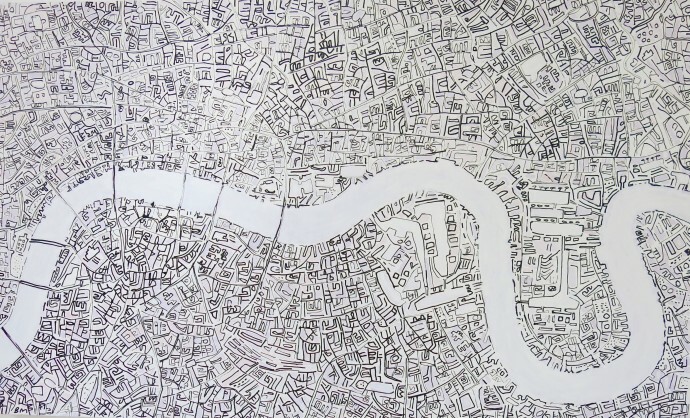 Barbara Macfarlane's works take their form and subject matter from maps - in this case, maps of London and New York - and make of their familiar shapes something startling and new. Not simply just about the city plans they depict, her creations are about juxtaposition of colour, mark-making and balance. In short, they are paintings rather than maps. Working on large sheets of handmade Khadi rag paper and on stretched linen, Macfarlane draws the map forms freehand in ink using a stick instead of a brush, resulting in more gestural, less controlled mark-making. 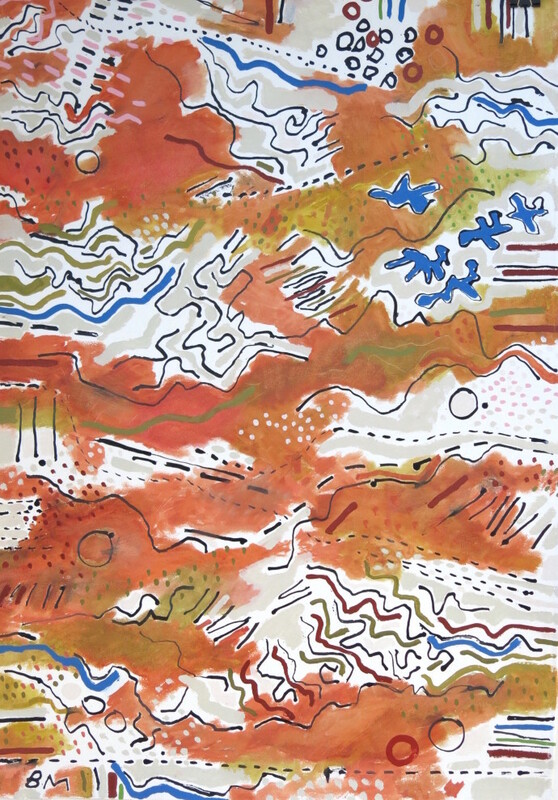 She then adds colour in high pigment oil paint. For Landmark, this practice has been developed on an unprecedented scale, with Macfarlane creating a London wall map which measures over 4 metres across, composed of 12 individual sheets of paper. 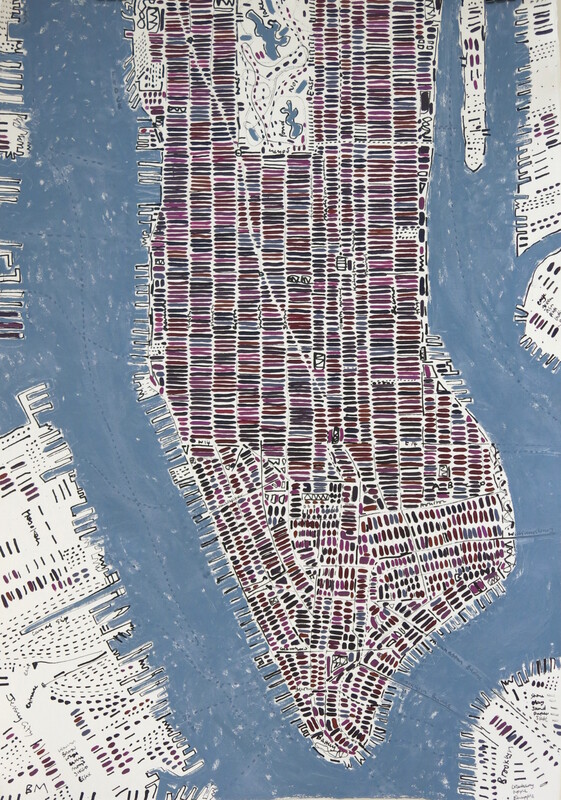 This installation will be joined by new large-scale paintings of Manhattan. 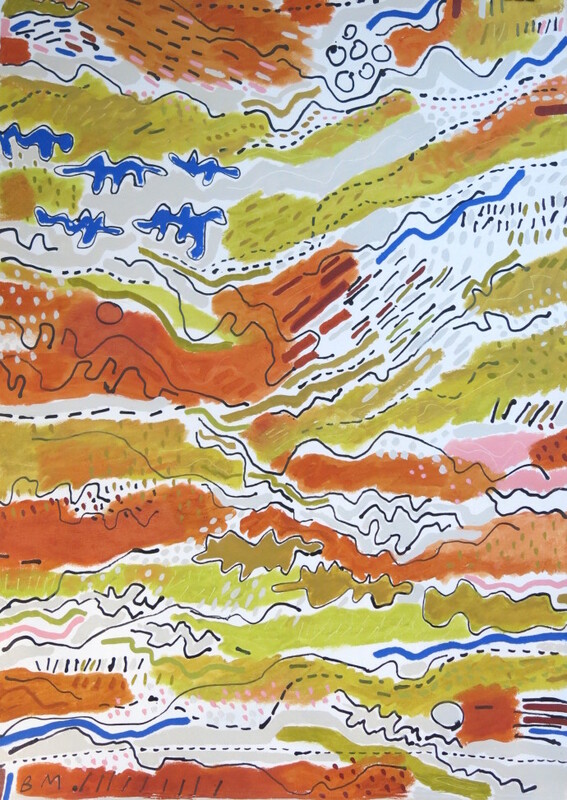 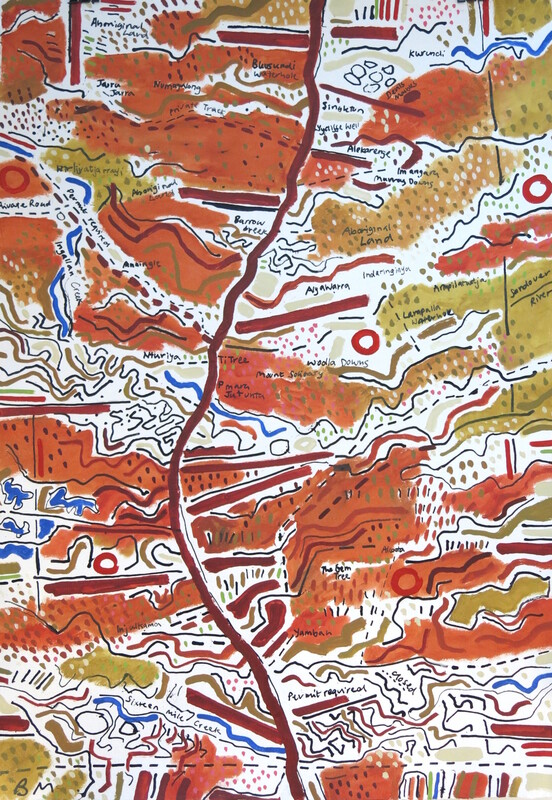 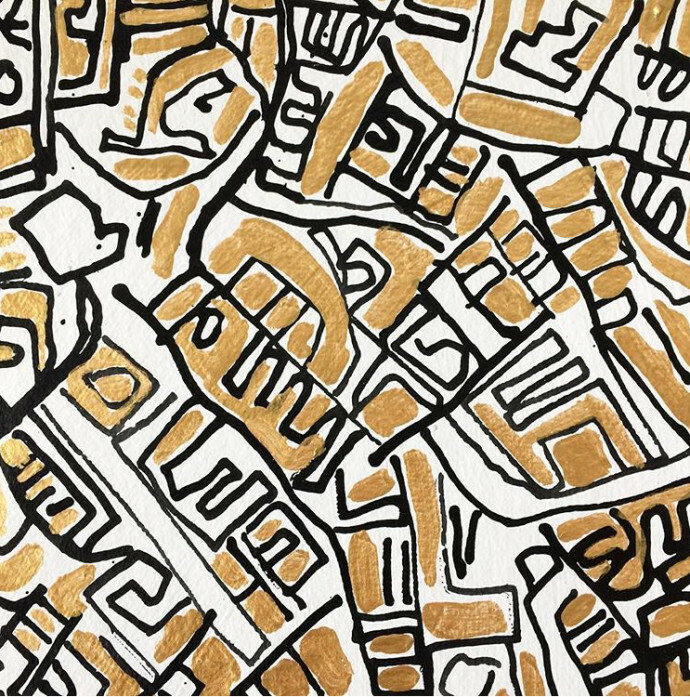 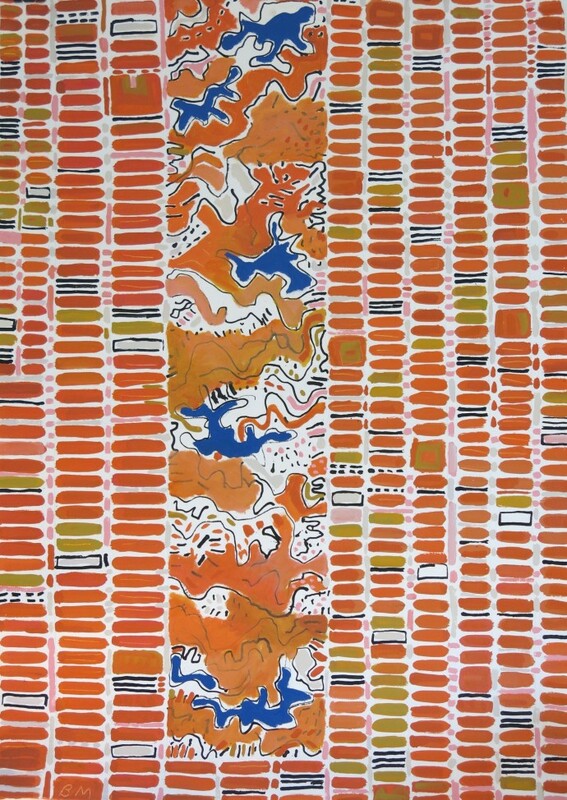 The exhibition will also include a new series of work from the central Australian desert, adapting the aerial perspective and iconography Macfarlane has developed in her city maps.